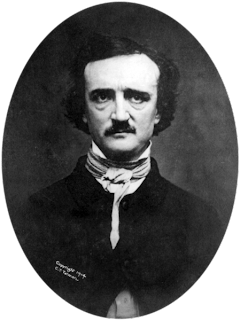 Edgar Allan Poe was expelled from West Point and disinherited. So poor was he that when his young wife lay dying, he could not afford a fire to warm her. The weirdness and despair of "The Raven" is particularly symbolic of his life. ‘Prophet!’ said I, ‘thing of evil!—prophet still, if bird or devil! ‘Get thee back into the tempest and the Night’s Plutonian shore!